Come see this Country Gem located in one of Jackson's best kept quiet areas! Home fronts & backs to wooded areas on a 1.44 acre lot.Relax on the covered front porch. 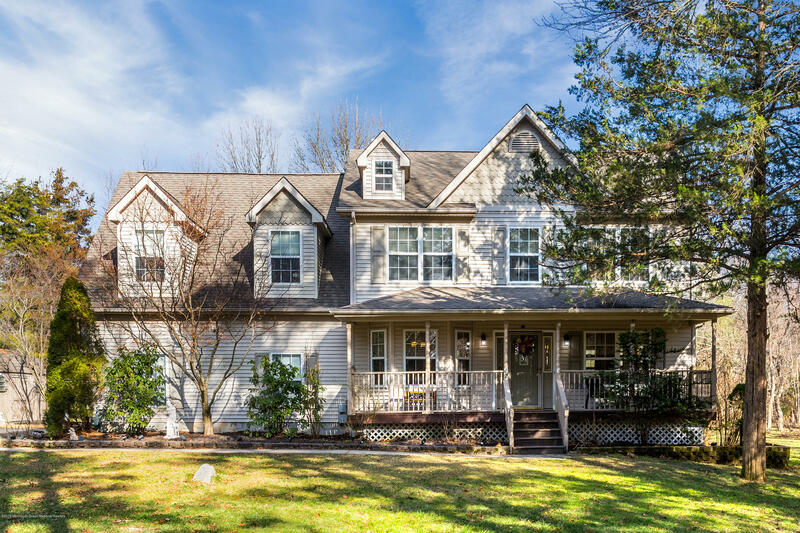 Inside, this home boasts 4 ample bedrooms & 3 full Baths. 4th Bedroom is HUGE- 23.6' x 18.7''.Lots of Storage! Floored Attic w/ pull down. HW Floors in Foyer, Kit, & DR, recessed lighting throughout. Newer SS Whirlpool Kit Appliances. Finished bsmt with Bar, Natural gas heater, built in TV. Oversized 2 car garage w/ newer, insulated Garage Doors. Garage Work area and cabinets too! Cement Patio & Secure Fence, Salt water IG pool! 7 zone sprinkler & Security Syst. 1 YR. HOME WARRANTY INCLUDED. FUN FOR ALL INSIDE & OUTSIDE YEAR ROUND! LOCATION, LOCATION, LOCATION!